I recently had the pleasure to work with the loveliest Shamsa from the United Arab Emirates. 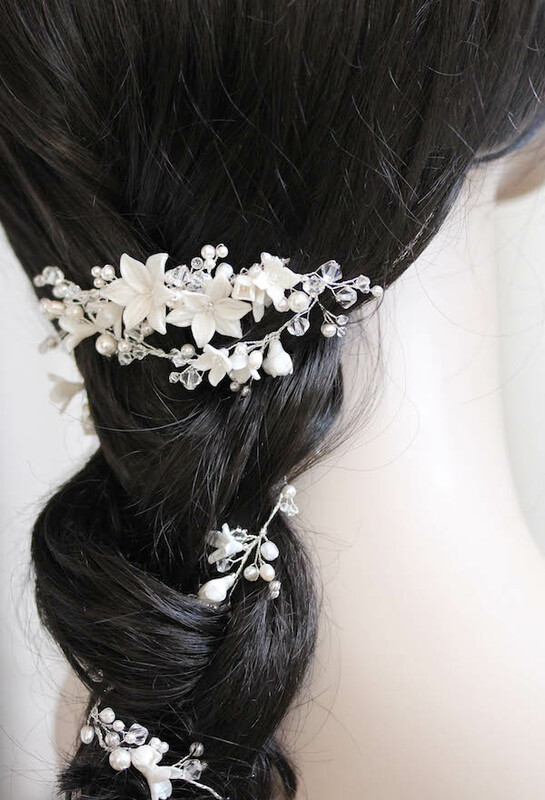 Shamsa is attending an event this July and was looking for a custom headpiece inspired by the gorgeous hairstyles from the Reem Acra 2015 runway show. 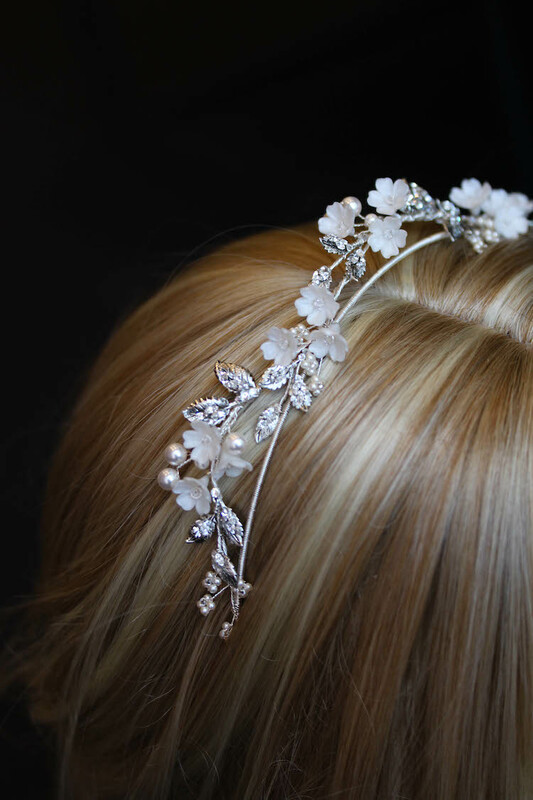 Shamsa loved the look and all the details of the of the Mirabelle bridal headpiece but wanted it customised in a much longer length into more of a bridal hair vine headpiece, and in silver tones. I loved her inspiration so I was more than happy to accept her challenge. It was truly a delight to create her pretty piece for her. I designed her piece so that it would be long enough to wrap around her waist length hair and I also thought I’d take a few extra photos of the headpiece in different hairstyles so she can wear it again for future events. Thank you Shamsa for being such a pleasure to work with! If you love this piece and would love to have one made just for you, feel free to get in touch and we can talk details.